One of the things I love about Articulate is that it’s a completely distributed company. There are lots of benefits to working from home, such as skipping the daily commute and working in my pajamas. But there are also some unique challenges. I don’t get as much face time with my co-workers as I would in an office setting. And it can be hard to keep up with what’s happening in different parts of the organization since I don’t physically cross paths with people from other teams. Inspired by these challenges, I worked with folks across the company to come up with a solution during our most recent Articulate Hackathon. Enter: #Coffee-Talk. Employees who join the #Coffee-Talk Slack channel are paired with a randomly selected co-worker once a month. The two employees then set up a “virtual coffee date” where they get to know each other. And if they struggle with small talk—no worries! With a single command to a chatbot, they get a list of questions about their work, interests, and more to kick off the conversation. #Coffee-Talk was really fun to help build. We decided to host the program in a Slack channel since that’s how our global team stays in touch. We chose an app called Donut to pair team members for video chat dates. These apps work together to form the #Coffee-Talk experience—giving people from different parts of the organization an opportunity to spend time together. 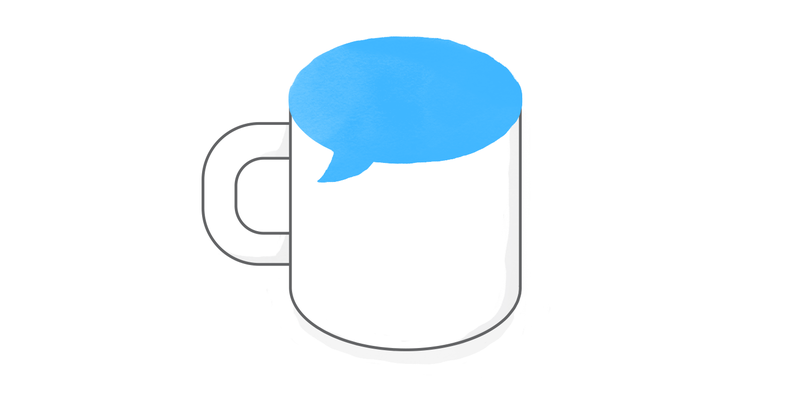 I’ve found that #Coffee-Talk provides a fun break in the workday and an opportunity to meet co-workers you might not interact with otherwise. It’s also a fantastic way to learn about other roles in the company and what different teams are working on. I’ve had conversations where I discover just how much I have in common with a co-worker. I’ve also heard of chats where someone learned about a project that they could contribute to. The success of #Coffee-Talk demonstrates how—with the right technology and a little ingenuity—a fully remote organization can overcome the challenge of bringing co-workers together despite physical distances. And what’s not to love about that?